4K movies can be recorded with full pixel readout and no pixel binning, for the ultimate image resolution with less moiré and jaggies. A high-speed front-end LSI that supports image processing greatly reduces “rolling shutter” (diagonal skewing) distortion that is commonly seen in video footage of fast-moving subjects. 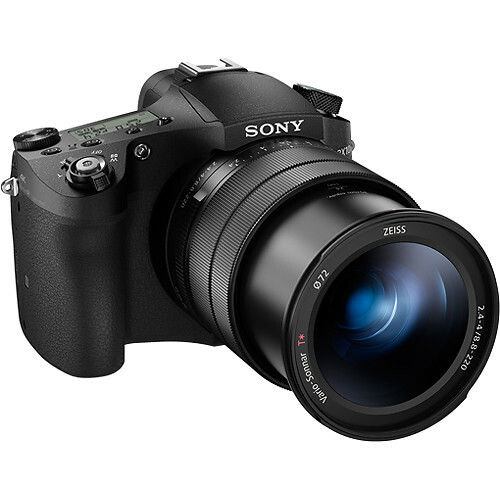 Along with great zoom coverage up to 600mm, the RX10 III features 0.09-sec. high-speed AF. By assessing the subject even before the shutter button is pressed halfway, the system’s subject detection algorithm accurately predicts the proper point of focus, upon which the camera focuses as soon as the button is pressed. It’s easy to create super slow motion movies. Turn the mode dial to HFR (High Frame Rate) mode. Choose among 960/1000fps, 480/500fps, and 240/250fps (NTSC/PAL, frames-per-second rates for shooting exceptionally clear, smooth close-up action at up to 40x the ordinary frame rate for movies, according to the speed at which the subject moves. In Quality Priority mode, image quality approaches Full HD quality at 240/250fps, and HD quality at 480/500fps. High-speed readout of the image sensor’s approx. 20.1 effective megapixels of imaging data makes continuous shooting at a rate of up to about 14fps possible with reduced blackout. This makes it easier to shoot great moments and expressions at their height nearly instantaneously. High-precision automatic autofocus tracking is operational even during continuous shooting at up to 5fps.